Univision is beating English-language networks in the ratings. What’s behind its amazing success? What’s behind Univision’s remarkable success? 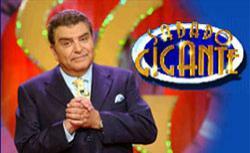 On a recent episode of Univision’s Sábado Gigante, I watched Don Francisco, the show’s 70-year-old creator and host, introduce three musical acts; MC a dance contest and a sing-off; mix it up with a comedienne; conduct a polygraph test on an aging lothario; chat with a young woman who had just been eliminated from a reality show; interview one of the rescued Chilean miners, who has written a book about his experience; navigate the approximately 25 coaches and judges involved in a talent-show segment; converse with a group of children; serve as the question-master in a parent-child quiz; and expertly stretch out the show’s climax—a car giveaway contest—so the suspense persisted until the final credits rolled. He also served as a pitchman, extolling the merits of insurance companies, snack foods, and shampoo. Sábado Gigante is an unholy mashup of The X Factor, Where In the World Is Carmen Sandiego?, Saturday Night Live, The Price Is Right, Kids Say the Darndest Things, The Gong Show, Lawrence Welk, Maury Povich, Charlie Rose, and whatever program involves little people in wrestler costumes gamboling with bikini-clad women. It’s splendidly surreal and fabulously entertaining—last Saturday, NPR’s Glen Weldon tweeted that Sábado Gigante is “apparently designed by a committee of Pedro Almodovar, Merv Griffin & David Lynch.” It’s also a hit—last week’s show attracted 2.4 million viewers and was the night’s eighth-ranked show among U.S. viewers between the ages of 18 and 49. Sábado Gigante’s big ratings aren’t an outlier—lots of shows on Univision are monster hits. The network consistently attracts more viewers than the CW (home of buzzy programs such as Gossip Girl and The Vampire Diaries), and for the last four seasons it has been the No. 1 network on Friday nights for all viewers between 18 and 34, the demographic prized by advertisers. For the week ending Sept. 4, Univision outperformed every English-language network among adults 18-49 and dominated in all key categories, including total viewers, on the night of Sept. 7. How does a minority-language network achieve such astonishing results? It has found a way to package what Anglos think of as “daytime TV” into highly successful nighttime entertainment. The Spanish-language networks aren’t unique in this regard. In Britain, primetime soaps like Coronation Street (which airs at least five new half-hour episodes each week) and EastEnders (which airs four) dominate the ratings and the national conversation. (In 2005, Sir Ian McKellen fulfilled a lifelong ambition to appear on Coronation Street.) But prime-time novelas haven’t taken hold on English-language American television. In 2006, Fox briefly and unsuccessfully experimented with the block format, but I don’t see any other English-language broadcaster following suit. For the near future at least, Univision has the prime-time soap racket to itself. Univision isn’t all heaving bosoms and star-crossed lovers, though. A first-class news operation cements the company’s position as, in Conde’s words, the community’s go-to source for “high-quality, culturally relevant content.” The nightly newscast, co-anchored by María Elena Salinas and Jorge Ramos (who combines the gravitas of Tom Brokaw with the silver-fox good looks of Anderson Cooper), devotes more time to foreign news than its English-language counterparts, a reflection of the more than 20 Spanish-speaking nations where American Latinos have their roots. Ramos also anchors a Sunday morning talk show, Al Punto, which, like Sábado Gigante, shoehorns several formats into one package. The most recent edition featured Meet the Press-style talking-head segments (one interview, with House Minority Whip Steny Hoyer, was conducted in English and simultaneously translated into Spanish); a journalists’ roundtable, in which the topics ranged from whether the Democratic Party takes Latino voters for granted to forthcoming elections in Nicaragua and Guatemala; and a 60 Minutes-like profile of a recording artist who is moving to the United States after being threatened by Mexican drug cartels. Of course, Univision doesn’t face a ton of competition for Spanish-speaking viewers. My cable provider offers hundreds of channels, but only a handful are hispanohablante, including two—Telefutura and cable network Galavision—that are also owned by Univision. (The company also controls 62 local TV stations, 70 radio stations, and, in Univision.com, the No. 1 Spanish-language digital property in the United States.) The audience for the NBC-owned Telemundo is growing, but it still attracts considerably fewer viewers than Univision. (During prime-time viewing hours, the three Univision networks have a 72 percent share of the 18-to-49-year-olds watching Spanish-language television; Telemundo attracts 20 percent.) For now, Telemundo tends to score with big splashes like movies and sporting events rather than with standard programming; it recently outbid Univision for the rights to air the 2018 and 2022 World Cup soccer tournaments. Between the telenovela-heavy prime-time schedule and weekend shows like the wildly popular Mira Quién Baila (a Dancing With the Stars analogue), Univision skews toward the double-equis set. Soccer matches and Sunday sports staple República Deportiva are the network’s only male-focused programming (though the abundance of skimpily dressed women on just about every Univision show leads one to believe that plenty of guys are watching). On Oct. 31, the company addressed this apparent gender imbalance by introducing a new late-night show, Noche de Perros (the official translation is Guys’ Night Out), which has the tagline “for men only.” It’s a noxious mélange of sexual harassment, single entendres, and macho posturing, but it’s not stinking up the flagship network with its taint of testosterone—it’s tucked away on Telefutura. Although Univision is committed to female viewers and to telenovelas—last December, Mexican novela powerhouse Televisa made a $1.2 billion investment in the company—they’re open to new formats. A few years ago, according to Conde, they decided that they “needed to make a bet” on reality—a wager that has worked out well. He said shows like Nuestra Belleza Latina and Protagonistas (currently running every night at 10 p.m. Eastern) have been “very successful” for Univision. Indeed, the network’s ratings win on Sept. 7 was driven by the three-hour finale of kiddie talent competition Pequeños Gigantes. Univision plans to launch several new networks next year—including sports, news, and all-novela channels. Given the explosive demographic growth of Hispanics in the United States—they currently make up 16 percent of the U.S. population and are expected to hit 30 percent by 2050—it’s likely that ratings for the Univision empire will continue to grow. Give it a few decades, and we’ll all be watching Sábado Gigante.